Omega-3 fatty acids are a type of healthy fat that can help to protect the body against heart disease, according to the Great Western Hospitals NHS Foundation Trust. They lower the risk of clotting by making blood less sticky, and help to protect the walls of blood vessels from damage. You can boost your omega-3 intake by eating more oily fish, such as herring, mackerel, sardines and trout. It’s also found in linseeds, flaxseed oil and some eggs. More than 97 per cent of females are deficient in omega-3 fatty acids. These are the warning signs to look out for. “One of the secrets to youthful and hydrated skin is omega-3 phospholipids, which are found naturally in the cell wall structure,” said naturopathic nutritionist Amy Morris. “The more deficient you are in omega-3, the drier your skin will be. “Omega-3 also helps the skin to absorb healthy nutrients and expel waste products that are harmful, resulting in healthy looking, glowing skin. “The same omega-3 phospholipids found in the cells of your skin, are also found in hair follicles, making omega-3 an important nutrient for lustrous, glossy hair,” said Morris. “Omega-3 fats nourish the hair, support hair thickening and also reduce scalp inflammation that can lead to hair loss. “Soft, peeling and brittle nails are all outward signs something in your body isn’t right, and that you could have an omega-3 deficiency. People with higher levels of omega-3 experience better quality sleep, according to a University of Oxford study. 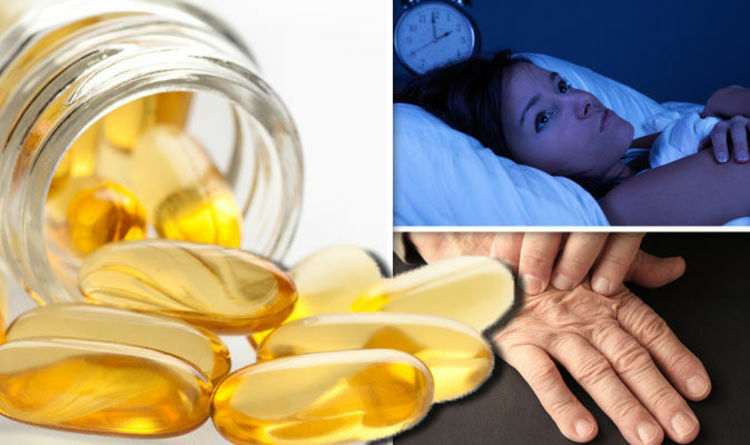 “I advise people to take omega-3 supplements in the morning, and not at night, as they can keep you awake if taken too close to bedtime,” the nutritionist said. If you don’t eat a lot of oily fish, or take omega-3 supplements, there’s good chance you may experience poor concentration because you are deficient in omega-3 fatty acids. “Many people have experienced significant improvements in their concentration by simply ensuring there body gets a daily dose of omega-3, said Morris. “To make sure you meet the recommended daily allowance for omega-3, I’d advise taking a high quality omega-3 supplement. Omega-3 deficiency could be causing your fatigue, according to the University of Maryland Medical Centre. You should increase the amount of fatty oils in your diet to boost your energy levels. “Omega-3 fatty acids derived from fish oils are powerful anti-inflammatory agents,” said Morris. “This is what makes them so important for people living with joint pain.